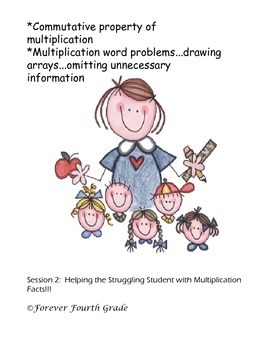 I made this activity to use with a struggling student on multiplication. 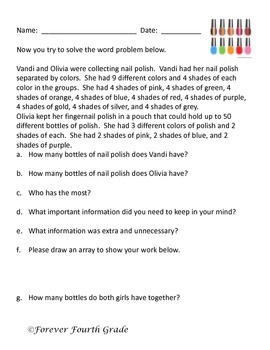 I am using this to tutor a child. This is the second session activity. 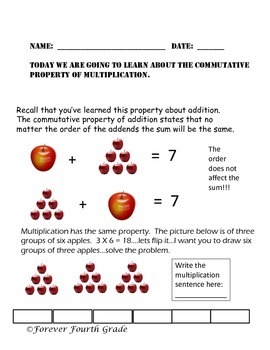 This provides practice with multiplication memorization, the commutative property, repeated addition, and word problems.